Our democracy is in trouble and we the people know it. Our U.S. political system is completely distorted as it’s currently financed and structured. Problems with the way we select our political leaders have been on full display in the 2016 Presidential election. Once elected, Washington politicians are not equally and properly representing our broad citizen interests, since they regularly tip outcomes of law, policy, and regulation toward the interests of wealthy and influential campaign donors. These actions regularly move large amounts of money out of our pockets and into theirs, distort and often delay action on matters important to our welfare, and undermine the very purpose of citizen representation our founding fathers worked to provide for us in our Constitution. This adversely affects the vast majority of us, regardless of whether we are conservative, moderate, liberal, or of some other ideology. Amending our Constitution to achieve needed reforms is the paramount public policy issue of our time. Congress has refused to effectively act for decades. 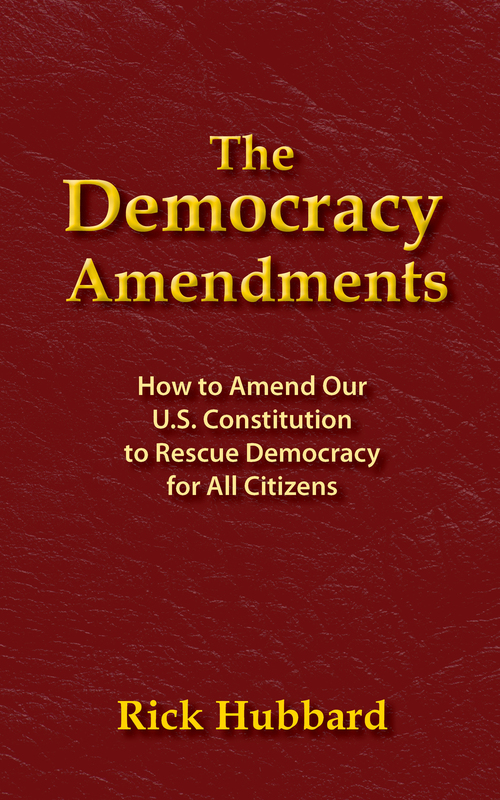 Thus it’s up to us – we the people – to initiate constitutional amendments to repair it. But first we must decide how to best accomplish reform. Will we really fix the problem, or as most current amendment proposals would do, just fix a part, in a way that would not resolve the underlying real problem? 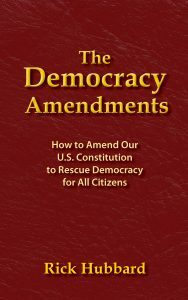 This book sets a high bar for discussion of all Amendment proposals. In it, I propose a comprehensive 28th Amendment to result in complete reform of the way we structure and finance our political system. If we citizens are going to get excited about reforming our democracy, let’s be bold and build a movement to fully and comprehensively amend our U.S. Constitution to regain full citizen control of our democracy. Together, we can accomplish this. Let’s do it! A. One Comprehensive Amendment or Many Separate Amendments?